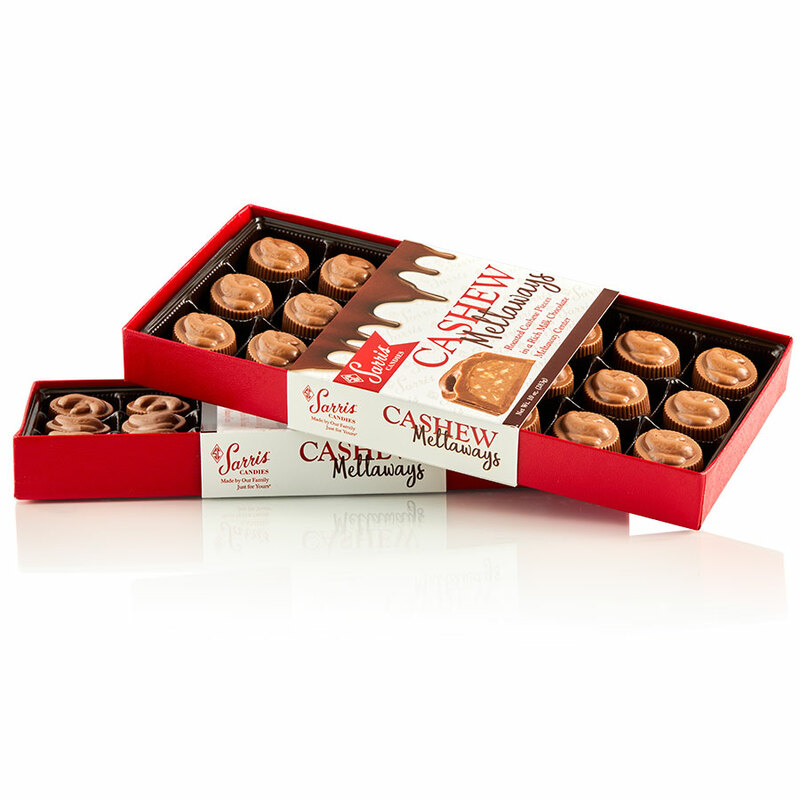 Our Cashew Meltaways are great for that added crunch you crave. We take fresh roasted cashew pieces, stir them into our rich milk chocolate meltaway center and pour them into a final layer of our decadent milk chocolate. The cashew design on top let’s you know exactly what’s inside!